How long do you spend looking for information on your laptop? I sometimes work on my PC, and sometimes on my laptop. And sometimes, I need to call up files on my iPad when I’m out and about. I don’t tend to use my iPad for ‘real’ work but I do occasionally look up my content spreadsheet and check what I’m supposed to be working on, or to grab a link to a post that I need to share. Before Dropbox, I used to have to email myself files. It pains me even to think this was how I worked. In order to move files between devices I used email. Why? Because you can’t plug a USB stick into an iPad. And most of the time I didn’t have a USB stick to hand – I just wanted the files to magically make their way to the PC in the office. Dropbox is the magic that makes this happen. Plus, it makes it possible for me to share files with my VA. She can see the content calendar. She can update folders for blog posts with the latest images. We can work together on documents because we both have access to the same files. It’s amazing. It shouldn’t be amazing, as this tech has been around for some time, but it felt revolutionary at the time – like having our own shared networking drive, just like ‘real’ businesses have! I know many people love Google Docs and use cloud-based hosting to create the documents in the first place. I never got on with Google Docs because I’ve been using Word since it was invented (and WordPerfect before that), so I’ve got used to the commands and the flexibility of Microsoft Office. It’s my tool of choice. While sharing seems to be more ‘native’ in Google Docs, it’s easier I think, in Dropbox. In fact, I don’t have to do anything. I just use and save my files on my computer, and they magically sync. That’s why I prefer Dropbox. Dropbox has another advantage too – I can use it to sync my photos. I take photos on my phone (which has the Dropbox app on it), and they then upload automatically to a specific folder. This works with images I take on my iPad too. I can sync images and screenshots direct to my Dropbox folders. Then I can pick them up and insert them into articles or wherever they need to go. Also, it’s just a useful back up in case I ever lose my phone. At least I won’t lose all my photos. For blogging purposes, I use Dropbox to store all the folders and files that need to be shared with my VA, or that need to be backed up to give me the confidence that I have a copy. I store the content calendar, blog articles and related blog images on Dropbox so that we can both access them as required. 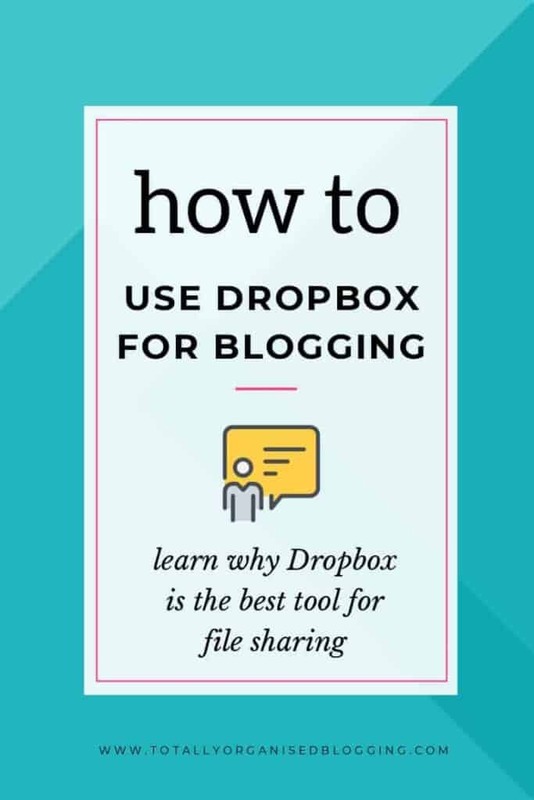 It’s really easy to get started with Dropbox and they have a free plan which I used for years. However, as my blog grew, and became more professional, and more of a business, I moved to a paid plan. The paid plan offers me more confidence in the customer service (although I’ve never had any issues with them at all). I was also glad I was on the paid plan during the big business shift to GDPR. I felt as if having a paid plan gave me more confidence using the Dropbox servers to store data – even though I don’t store personal data routinely, I have mentoring notes and things from clients that would count under the GDPR regulations. 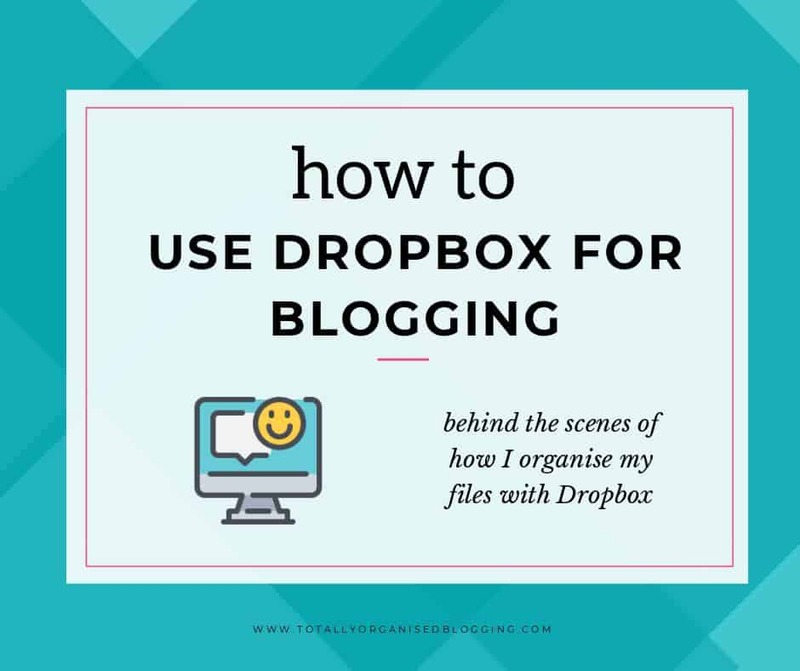 In this video, I share some other tips and benefits for using Dropbox. If you haven’t tried it out yet, I strongly recommend it, because it’s so easy and reliable. You’ll wonder – like I did – how you managed without it!